Sir Ken Robinson talks about reforming public education to reflect the reconstructed landscape of the current economical pivot of the 21st century. As a global advisor of education in the arts for councils, Robinson repudiates the original educational structure--renouncing the one-answer-model in school systems, while championing divergent thinking over misemployed standardized testings. The author and former Professor of Arts Education at the University of Warwick, suggests how we must tackle learning in the 21st century by accepting our flaws as humans--taking into account how we actually function amongst such modern challenges, rather than trying to live by idealized and expired notions of ourselves, on how we should be. 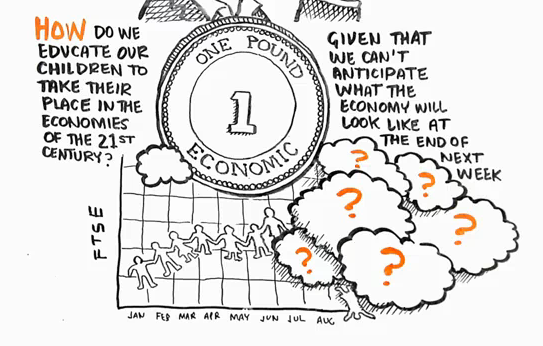 Have a watch at this interesting talk via RSA Animate, and participate in the conversation.